Wow 2017, you have come and gone in a New York Minute. How did that happen? I didn’t even get a chance to get one blog post out in 2017. I don’t make New Year’s resolutions, however, getting back to blogging is something I am hoping to do in 2018. I may not have done any blogging, but that doesn’t mean I was lazing about on my couch all year. I was fortunate to have quite a few amazing adventures last year, and even added 6 new country stamps to my passport. My first work trip of the year was to Dubai, UAE. As I had never been before, I was quite excited for this visit. I did manage to sneak in a bit of sight-seeing after my work meetings. I visited the souks in old town Dubai, took an Abra (boat) ride (in the rain), saw the famous fountains at Dubai Mall, went to the top of Burj Khalifa and made a quick stop at Jumeirah Beach to photograph the Burj al Arab from the outside. 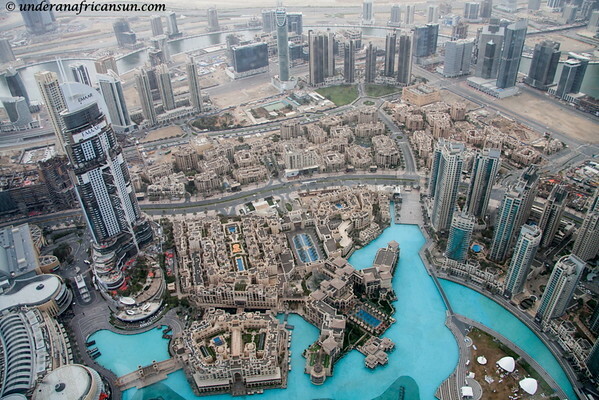 Dubai seemed a bit over-the-top to me (ok, way over) but I am glad I saw it. It is a very safe and squeaky clean place (I even saw a guy polishing the door knobs at my hotel) but seems to be lacking in more “traditional” Arab culture. 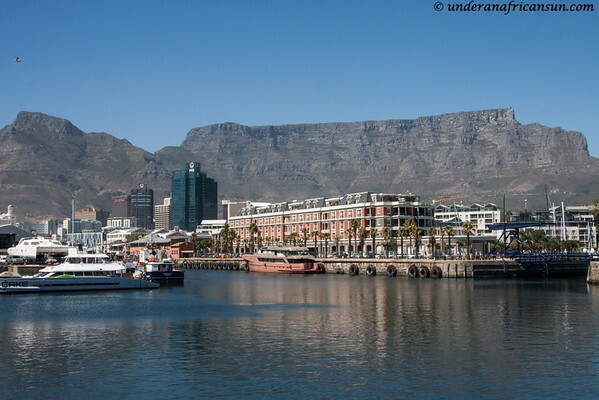 Even though Cape Town is only a 2 hour flight away, we never seem to get the chance (i.e. make the time) to go very often since we have moved to South Africa. 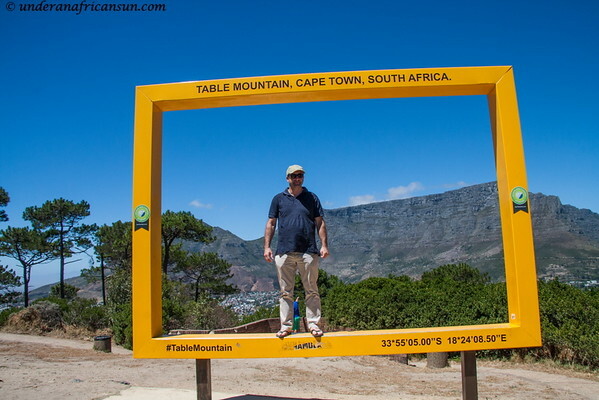 It is a fabulous city, and being invited to a wedding in Stellenbosch made it a must do this year. While the Frenchie was having a long lunch with clients working, I had a day to buzz about the Waterfront and ride the Big Red Bus, which is always a good time. 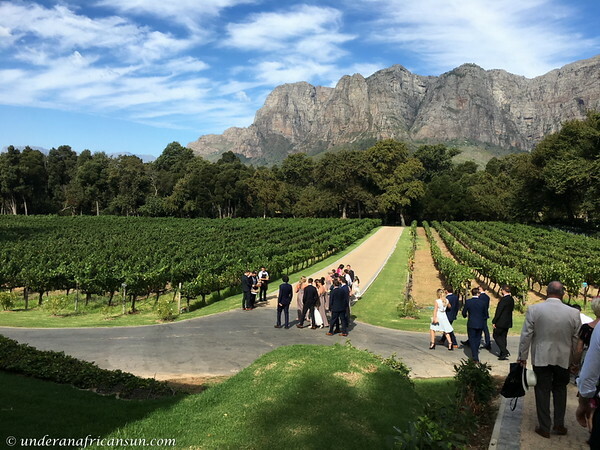 Saturday the wedding was held at MolenVliet Wine Estate, a stunning venue only surpassed in natural beauty by the happy couple. On Sunday we headed back to Cape Town for what I can easily say was my best meal of the year at La Mouette. We sat in their lovely courtyard and had an incredible 7 course tasting menu with wine pairings for lunch. I have eaten here several times and cannot recommend it highly enough. 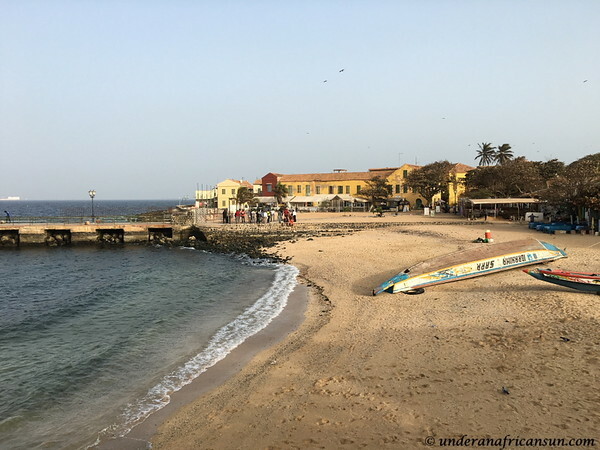 The first week of March I headed to Dakar for a business trip. While most of the week was dedicated to work, we spent an afternoon at Ile de Gorée. Our first stop was a sobering visit to La Maison des Esclaves (Slave Museum). Though I have been there before, this visit was even more emotional to me than the first. We lightened the mood with a team building exercise in which we had to paint some traditional art works. Luckily none were so good that anyone decided to change careers. 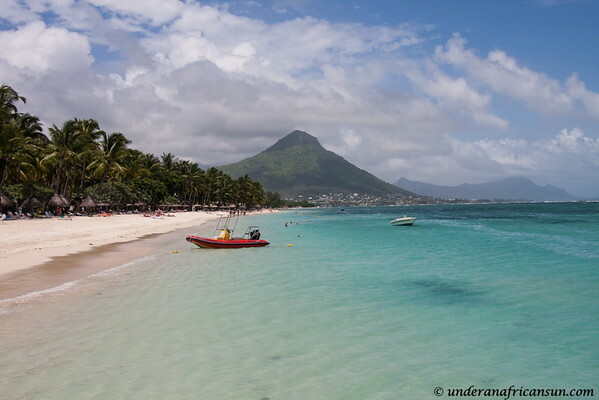 In the middle of March, the Frenchie and I were in desperate need of a little beach time so off we went to Mauritius for a week. We rented a little house in Flic en Flac and a car to get around to explore the island. The beaches were stunning and there is quite a lot to see, a couple of weeks would have been even better. And the tasty curries, did I mention the curries??? We also got a bit of scuba diving in which was a blast. March was not yet over. Last year we became SanParks Honorary Rangers and this year I became involved with Project Watchdog. 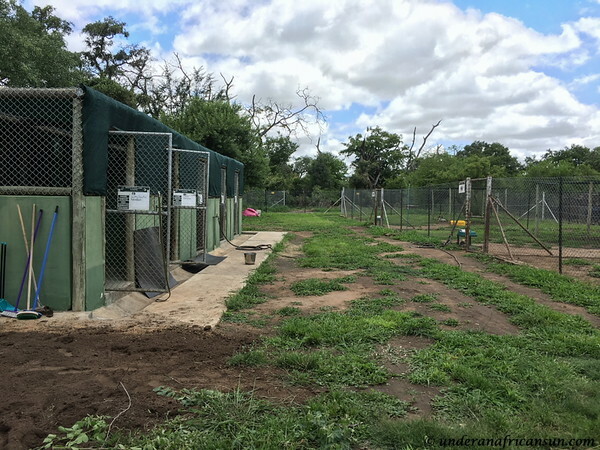 This project involves caring for the anti-poaching dogs at the K9 centre in Kruger National Park when they are not out in the field. 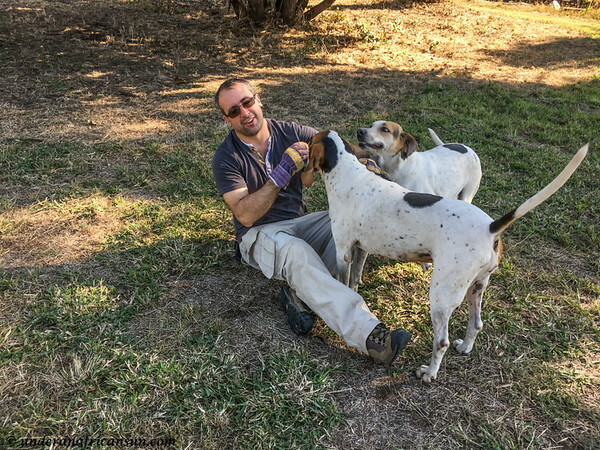 In March, I attended a training course to learn daily care of the dogs and also some vet training in case of emergency. 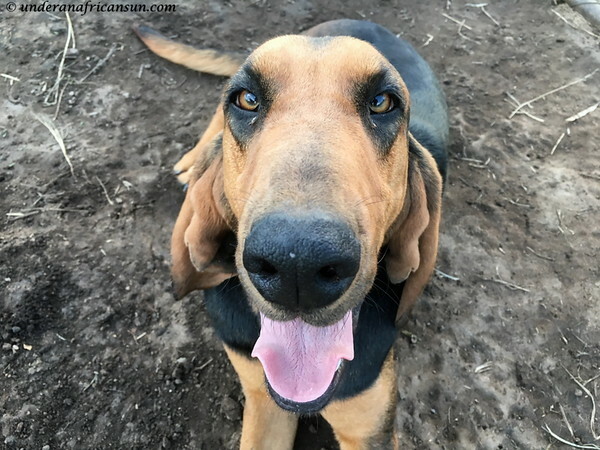 These dogs have had a phenomenal success with helping catch poachers in the park and I can easily say this is the most rewarding project I have ever been involved with. 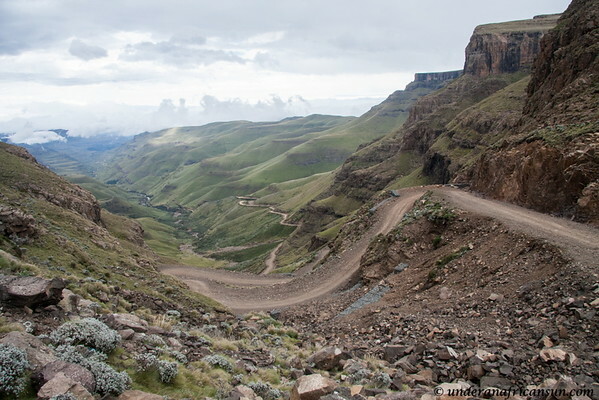 The 4 day Easter break saw us headed to Lesotho to drive the Sani Pass, something we have been wanting to do for a long time. If you are wanting to do this, you should do it sooner rather than later as they are going to pave the road all the way up. I drove the first part up, which while not very steep, was quite rocky and we both considered it more challenging than the 2nd part with all the steep, hairpin turns (Frenchie drove this part). Some people even go up on motorcycles, though we had to stop and scrape one up off the road (I’ll stick to my bakkie, thanks). 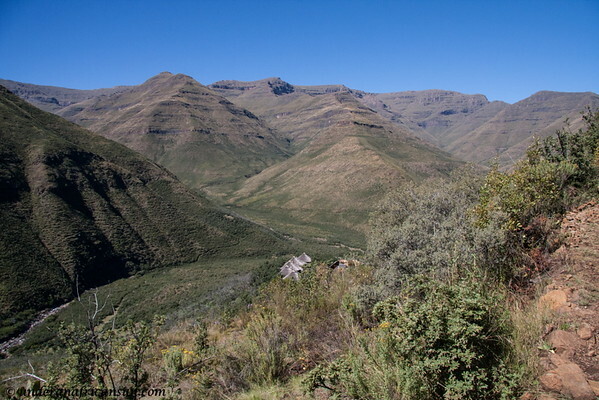 After a night at the Sani Mountain Lodge, we headed off to Maliba Lodge in the north of Lesotho for a bit of hiking and more stunning views. Lucky to have another long weekend at the end of April, we headed off to Kruger for 4 days. 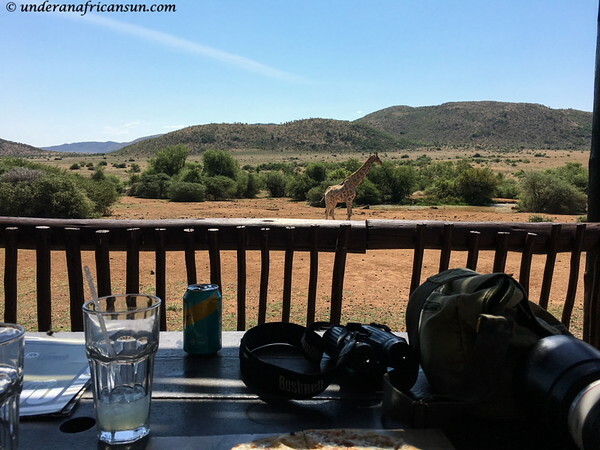 We stayed at both Tamboti and Olifants, two of my favorite camps. 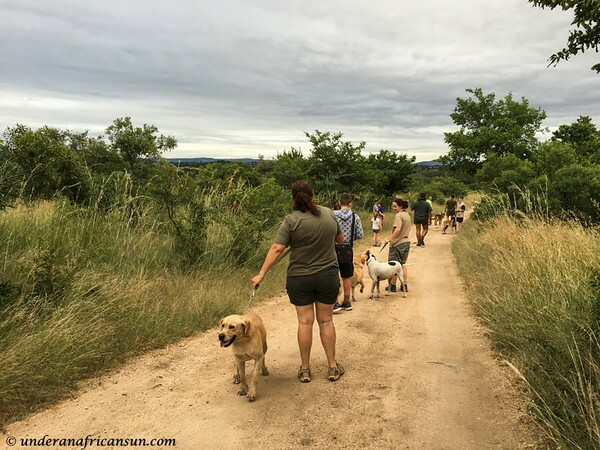 From Olifants, we joined a morning bush walk. 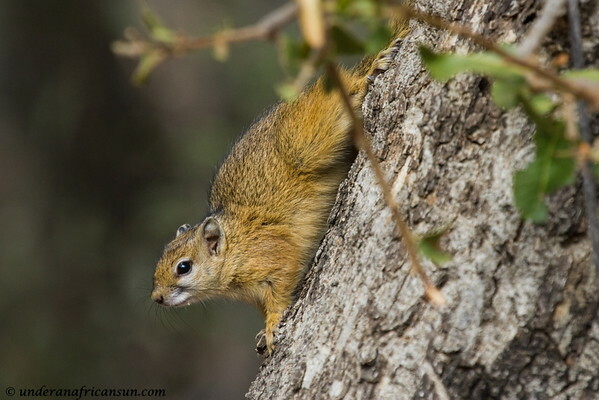 It is always a joy to be out on foot in the bush and this was certainly a highlight of the trip. The other highlight was getting stuck in a massive cat jam on the way out of the park. 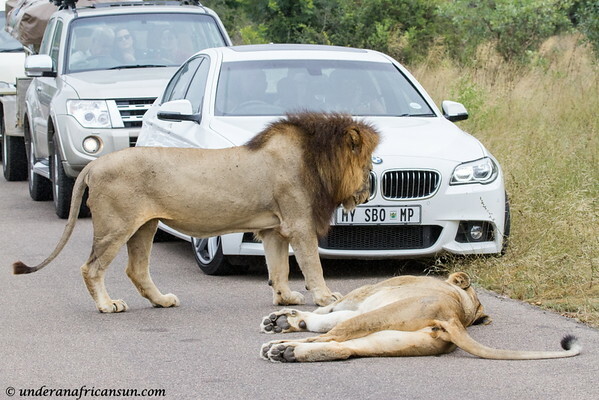 A pair of lions was mating right in the middle of the road and we had a front row seat. 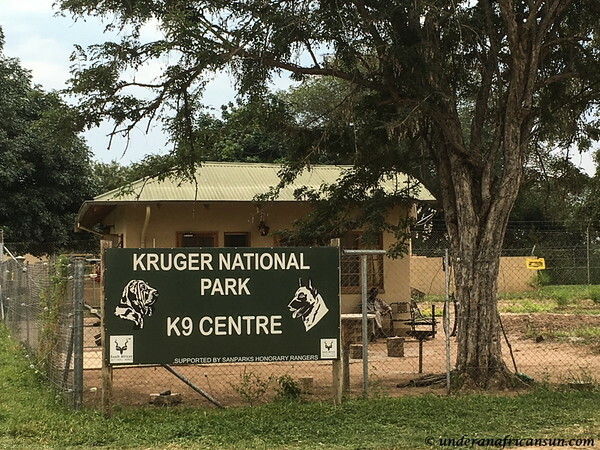 For a few months, I was on a really good Kruger roll, visiting every 2 or 3 weeks. In May, I headed back over for a solo trip to help use up some vacation time. My trip coincided with the SanParks Honorary Rangers Indaba, which is the annual gathering of rangers from all over the country. It was a lot of fun to meet fellow rangers from other regions and find out what activities they are working on. 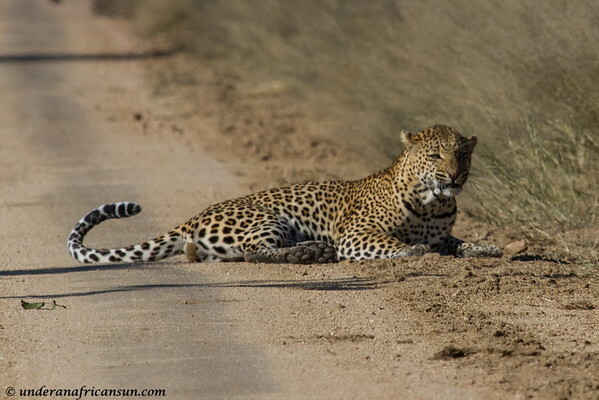 As I was driving along this dirt road, I rounded a corner and almost ran over the tail of this leopard who was barely visible in the long grass. He wasn’t too pleased with me and immediately slunked off into the bush. As I was cursing myself and scanning the bush, I finally looked at the road ahead of me and there he was right in front of my bakkie staring at me. He then rolled around (seemed to be laughing at me) and posed nicely for quite a few photo ops. I got to spend about 20 minutes all alone with this beauty. 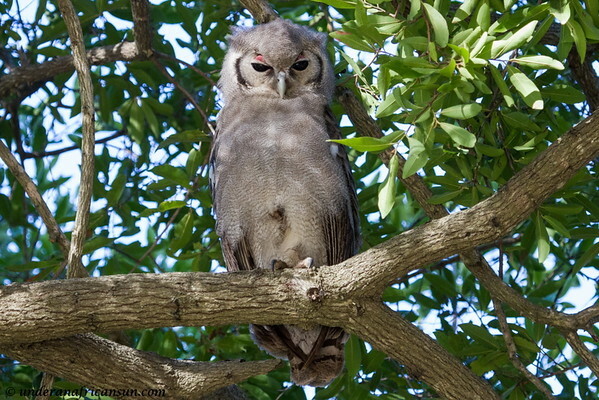 Up close to a Giant Eagle Owl, I love the pink above their eyes which makes it look like they are wearing eye shadow. June kicked off with a weekend doing duty at the K9 centre. This time the Frenchie came along and I got to introduce him to all my new friends. 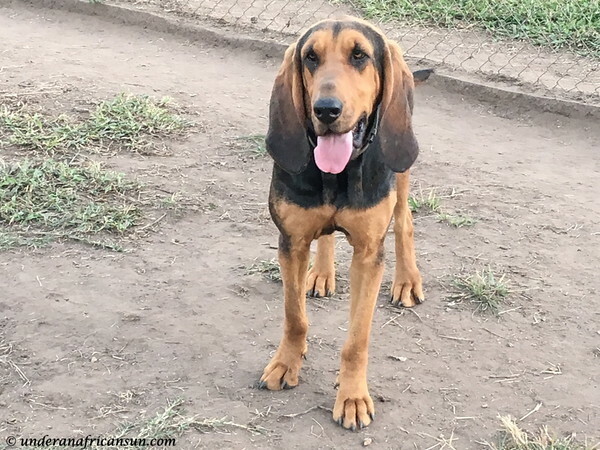 Bettie, a mix of Bloodhound and Doberman. I love her. 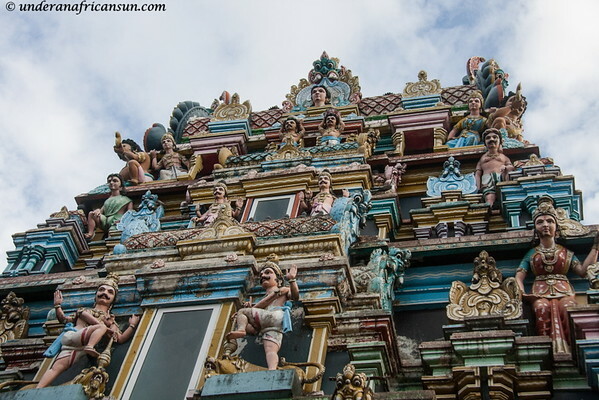 For the last 2 weeks of June, I had an incredible opportunity to visit Bangkok for work. 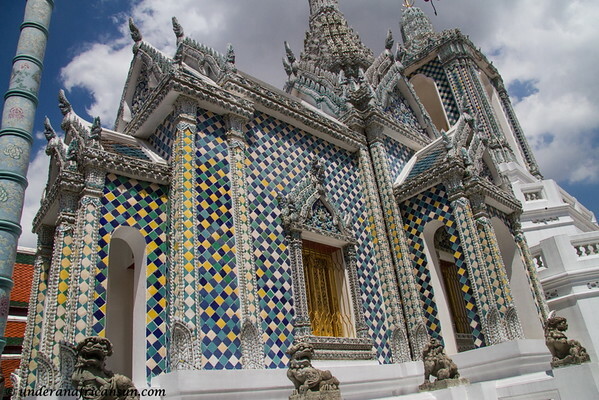 The trip had already been canceled once, so I was super excited to be able to reschedule my first ever visit to Thailand. I even added 2 days before my training and 4 days after to spend some time exploring on my own. The beginning of the trip started out great. I spent a weekend at the Ibis Riverside; riding boats down the river, hitting the Chatuchak Weekend Market (whoa now this is a market, more than 15,000 stalls!) and spending an evening out at Asiatique the Riverfront getting my feet massaged by fish (weird). I moved over to the Sukhumvit area in Sunday afternoon as it was close to work for the next week and things went downhill fast. I spiked a fever of 39C and had to call a doctor to the hotel (and that’s saying something about how sick I was as I really don’t like calling Drs, especially in a foreign country). I was tested for malaria as I had been spending a lot of time in the Kruger but luckily it turned out to be a bacterial infection. I got a dose of antibiotics and stayed in bed for 3 days (missed half of my training) until I could get back to work. 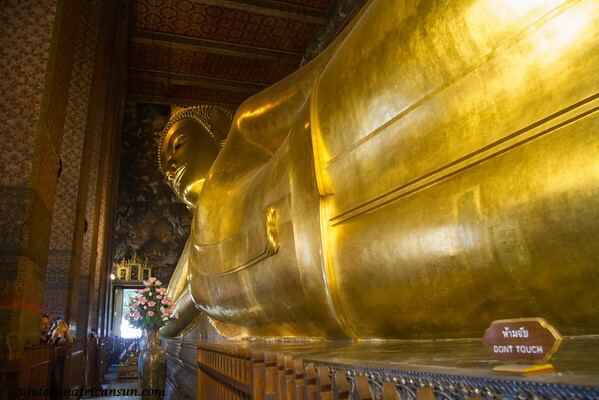 The heat and being sick really slowed me down but I really wanted to make the most of my time in Bangkok. I spent the last 4 days at a terrific little hotel, Nine Design Place in Siam. Looking back now, I realize I did manage quite a lot in those 4 days: Jim Thompsons House, Grand Palace, Wat Po, Wat Arun, Soi Cowboy (really), Chinatown, Khao San Road, another trip to the Chatuchak Market (this was great and I normally hate shopping!) and probably more that I am forgetting. 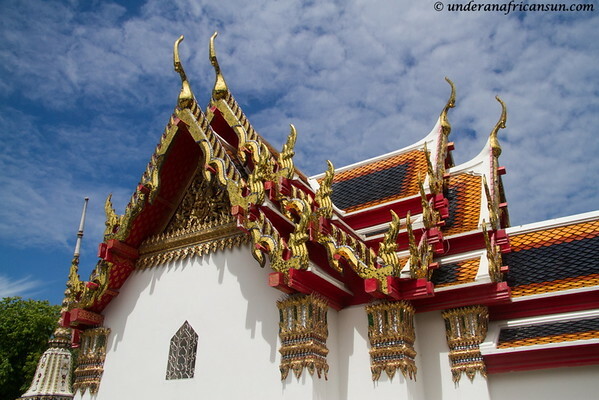 I really loved Bangkok, but I want a redo when I am not feeling sick most of the time! 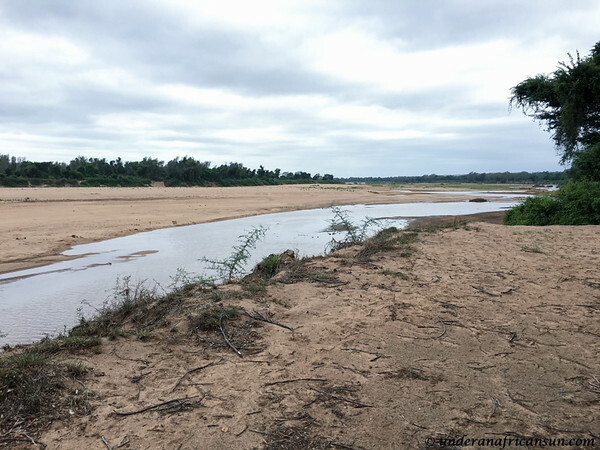 In July, I celebrated one of those BIG landmark birthdays and chose to do it in the lovely Markakele National Park. We try to visit the park at least once a year as it is quite the little gem and only a bit more than 2 hours from Joburg. 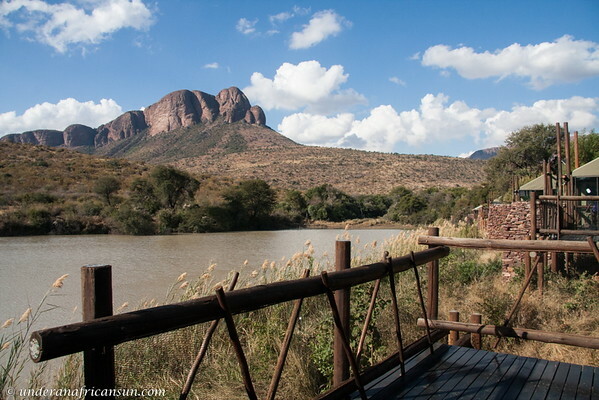 This time we stayed at Tlopi Tented Camp and enjoyed the superb views over the dam. We even were lucky enough to enjoy a family of elephants come down for a late afternoon drink. 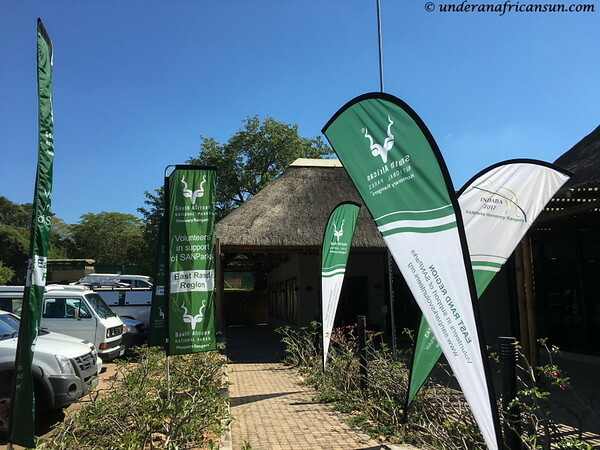 In 2017, the National Women’s Day holiday fell on a Wednesday and we took advantage of the day off to spend the day at Dinokeng Game Reserve. Dinokeng is the only Big 5 reserve in Gauteng and is located about an hour north of Joburg. There are 100 km of self-drive routes in the reserve and while we covered quite a bit in just a day, this place certainly deserves more than just a day trip (hope to rectify that in 2018). 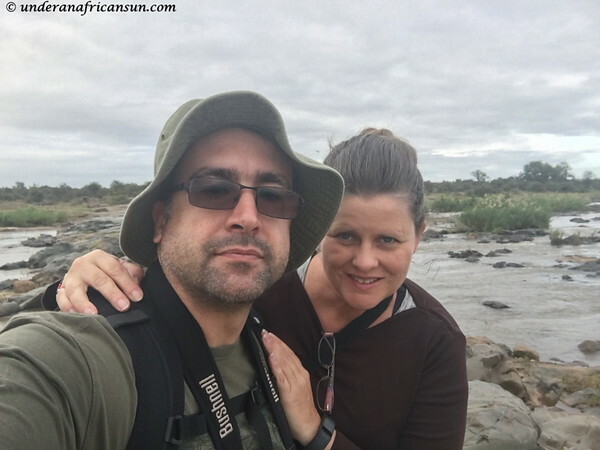 While we didn’t see any of the Big 5, we did enjoy spotting quite a few antelope and bird species. 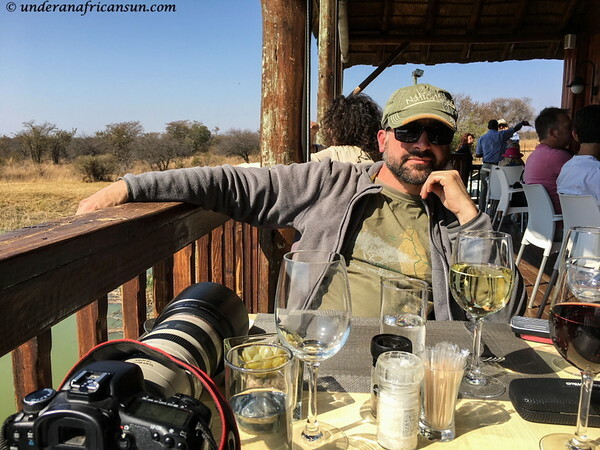 We also quite enjoyed a terrific lunch with a view at Kingfisher Restaurant at Mogena Lodge. 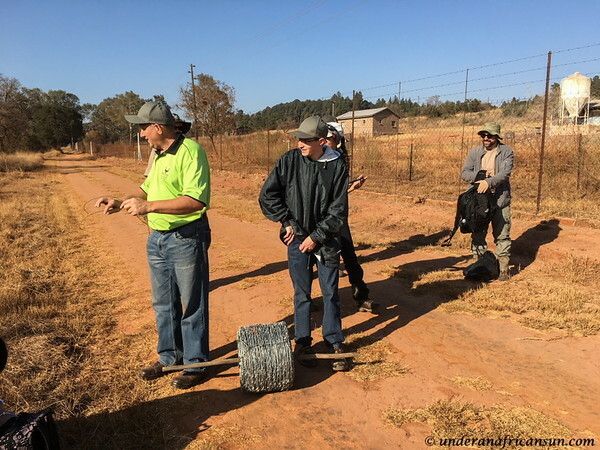 Later in the month, we joined the Pretoria SANParks Honorary Rangers for a snare removal exercise at Rietvlei Nature Reserve, just outside of Pretoria. This was the first time we had participated in this activity and it was certainly an eye opener to see first-hand just how extensive the poaching situation actually is. 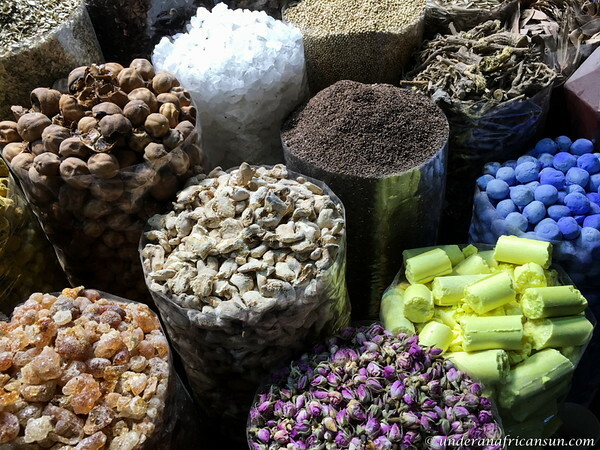 September took me back to West Africa for work, this time to Cameroon. I would say this must be the most unconventional or off the beaten path trip I took in 2017. I get teased often by my colleagues when I travel to their countries in Africa that South Africa isn’t really Africa. Of course, I don’t agree with them but if we must compare, South Africa is quite tame compared to most other places in Africa. As for Cameroon, there is very little tourist infrastructure and I was happy to be ushered about by my company’s private driver. 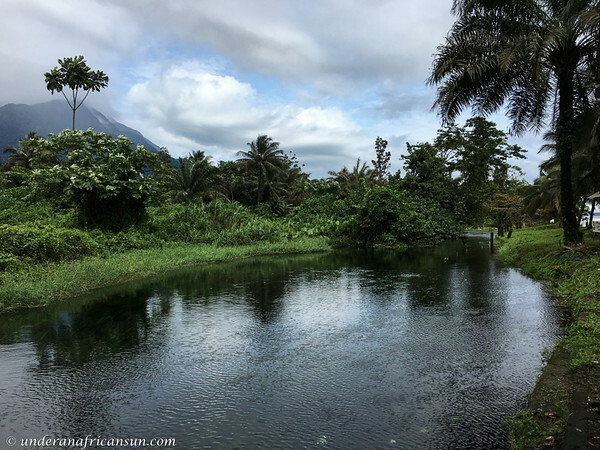 I spent a couple of days in Douala and a couple of days on the coast at Limbe for a client event. The trip was fascinating, the highlight being a gala dinner with different local performers: dancers, singers and comedians. 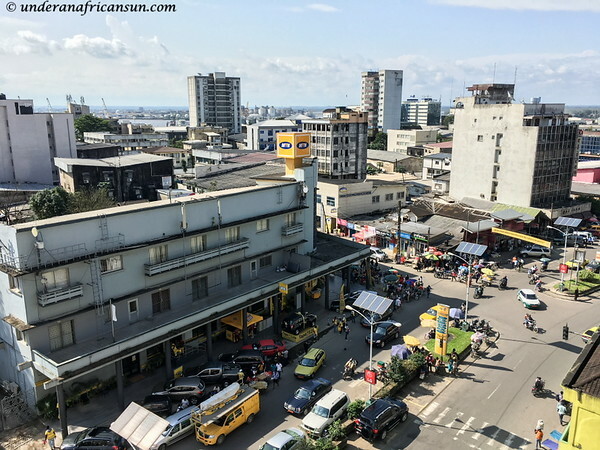 Hectic Douala. “They” didn”t want me to venture out alone on the street but I did and lived to tell the tale. Our trip in October was almost a year in the making. 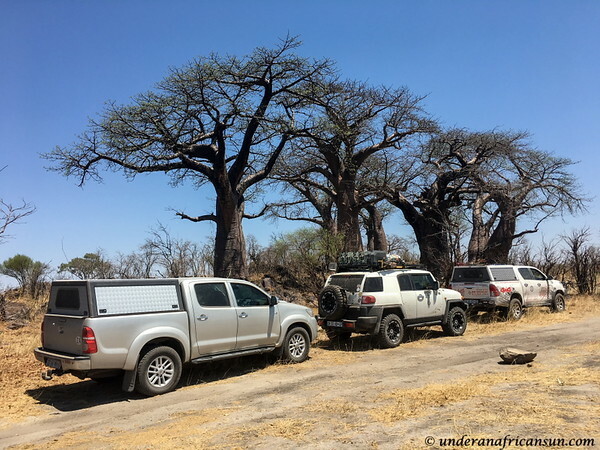 It was our first 4×4 overland trip to Botswana and the highlight of our year. 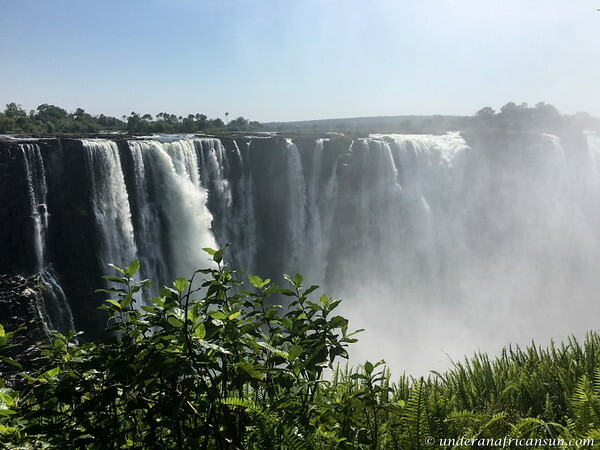 We spent 2 weeks with a 4×4 group camping through northern Botswana (Maun, Okavango Delta-Moremi, Savuti, Chobe) and then added a couple of nights on our own in Victoria Falls. It was also a trip that almost wasn’t. The night before we were to leave, our bakkie was broken into and the Frenchie’s passport stolen. It was an extremely stressful couple of days to get everything sorted and catch up with our group in Maun, but we are so thankful it wasn’t anything more serious. We had a fantastic trip and I will definitely be blogging more about this soon. 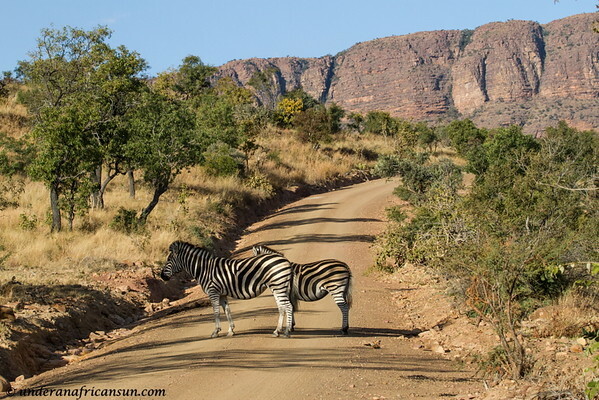 About 2 weeks after being back from Botswana, I was having serious bush-withdrawal symptoms so we headed up to Pilanesberg for a quickie day trip. 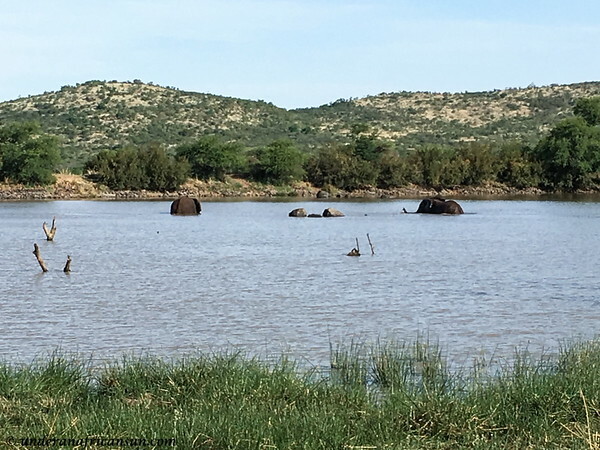 We didn’t spot any predators, but we saw lots of ellies, and being quite a hot day, they were having a blast cooling down and playing in the dams. Lunch was spent watching the parade of animals at Pilanesberg Centre, always a great time. I was thrilled to sneak in one last visit for 2017 to the K9 unit. Have I already said how much I love working on this project? And, our final trip of the year, Christmas in Kruger! 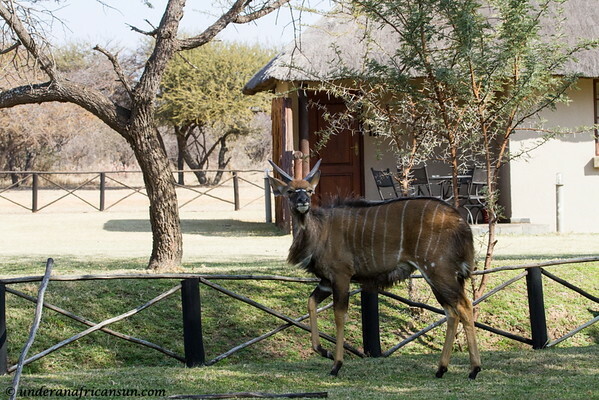 As holiday times can be really busy, we headed north and stayed 3 nights at Shingwedzi camp. 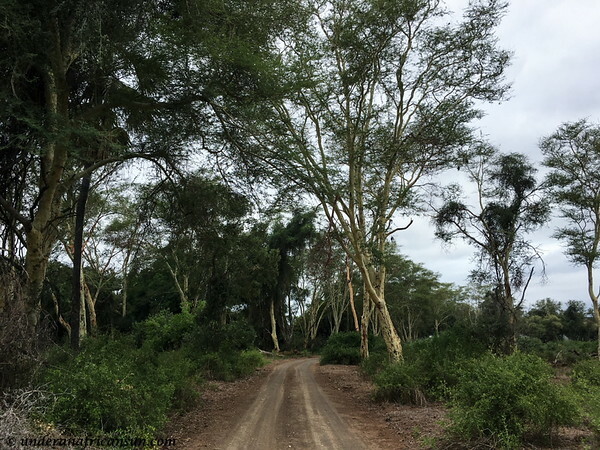 The highlight for me was finally making it up to Crook’s Corner in the Pafuri region. We have attempted this several times but always had to turn back due to rain or flooding. This time was a success and I think this is probably the most beautiful area in all of Kruger Park. And that’s my 2017 in review! Happy New Year, and I hope you are looking forward to 2018 as much as I am. I hope this year is filled with much joy, love and adventures in everything you do. 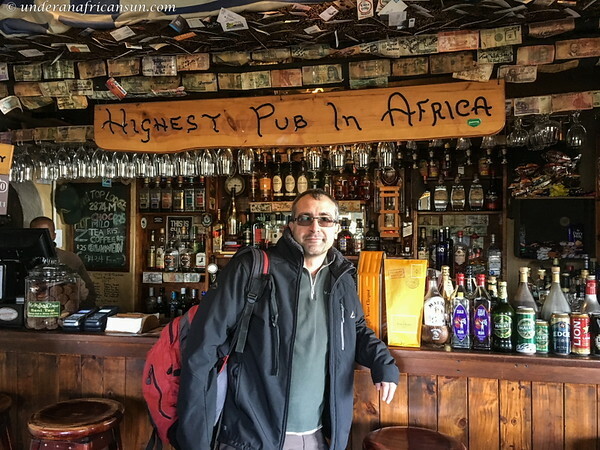 This entry was posted in 4x4, Bird Life, Camping, Hiking, History & Culture, Lesotho, Safari, South Africa, West Africa, Wildlife and tagged 4x4, Birds, Camping, Hiking, Kruger, Lesotho, Nature, Pilanesberg, Reserves, Safari, South Africa, Wildlife by UnderAnAfricanSun. Bookmark the permalink. It was, thanks! Hope yours was too. I love reading your blogsand hope are are having themmade into a book with large pages. Your photos are better than ever –is that a new camera in one of the photos (at lunch)? Hello to the . Thanks Mary! I would love to do that sometime, so many projects, so little time… nope, no new camera same for the past 5 years or so. Hope you and David are great! Thanks Heather. I had to go back through my photos to even remember some of what I did in 2018. Looking forward to your posts as well! wow – what an action packed 2017 you have had! It was, I’m tired, lol.